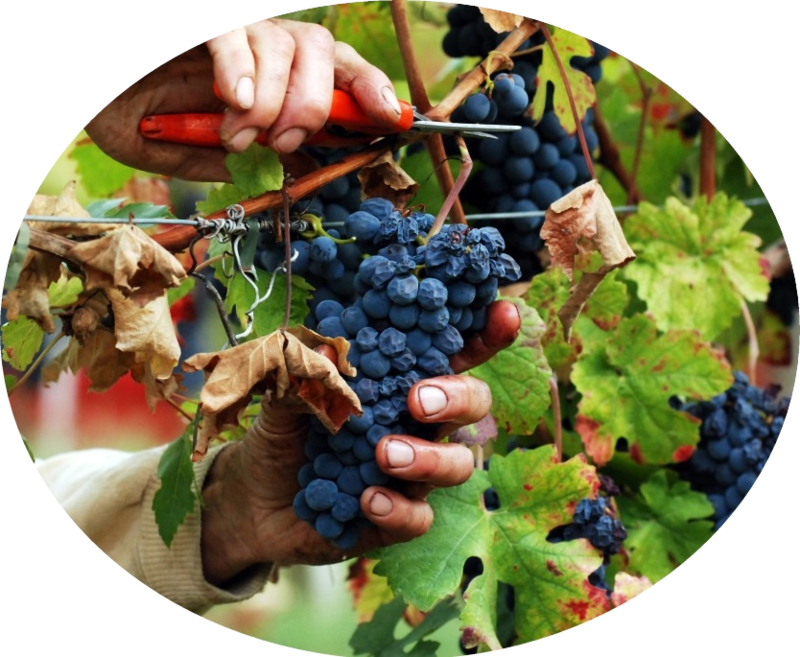 The harvest takes place over the course of about 40 days, starting usually in the first week of September and finishing in the second week of October. The first grape harvested on Poggio Trevvalle – at the end of August or beginning of September is Merlot, which is destined entirely to the blending of Montecucco Rosso “Poggio Trevvalle”. Then follows the first Sangiovese (and Colorino) harvest, when the grapes reach an excellent sugar ripeness (the desired breakdown of acids and accumulation of sugars), so as to obtain wines with a lower alcohol content, higher acidity but also less colored and slightly tannic. These grapes are used to produce the Morellino di Scansano “Du’ Galli”, a high percentage of the blend of the Morellino ‘Passera’ and a small percentage of the blend of the Morellino ‘Poggio Trevvalle’. Sangiovese grapes harvested in the last week of September or early October have reached the best phenolic ripeness, also referred to as physiological ripeness (maturity levels of polyphenols, anthocyanins and tannins of grape seeds and of the stems), thus yielding more intensely colored wines with very soft, sweet tannins but also with high alcohol content. These are the grapes used to produce most of the wine that is blended into the Morellino ‘Poggio Trevvalle’, a small part of the blend of the Morellino di Scansano ‘Passera’ and the I.g.t. Toscana wine ‘Anema e Core’. During the last week of September grapes from the oldest part of the vineyards, which measures about 1.5 hectares, are harvested. About 90% of this vineyard is planted with Sangiovese and the remaining 10% with Cabernet Sauvignon and Grenache (also called Alicante in Maremma). The three varieties of grapes are picked and fermented together. 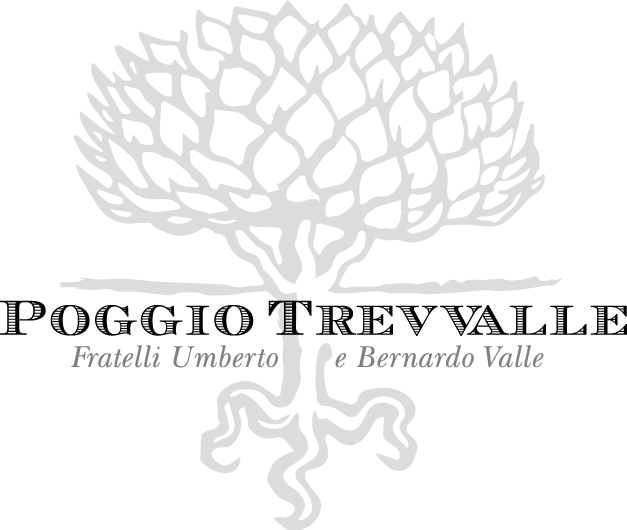 The wine obtained is destined to become the last part of the blend for the Morellino ‘Poggio Trevvalle’ and, in only exceptionally good years for both yield and quality, to become Morellino di Scansano Riserva ‘Larcille’. The harvest ends in October with the Cabernet Sauvignon, planted on the north side of Poggio Trevvalle, which is destined entirely to the blend of our Montecucco Rosso d.o.c. wine.